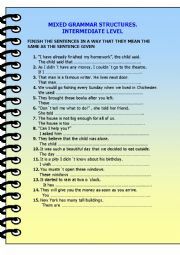 This worksheet includes conditional sentences, relative clauses, passive voice, tenses, etc. Good for general revision. 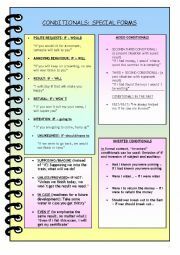 This printable includes a summary of the most common advanced conditional forms: mixed conditionals, inversion, structures with should, will, won´t... It also includes practice with some rephrasing exercises. Key included. 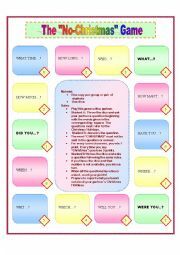 Students practice asking and answering questions by playing this board game about their Christmas Holidays. Students watch the video and listen to the song. They do three types of activities in the different paragraphs (gap filling, identifying mistakes, separating words). 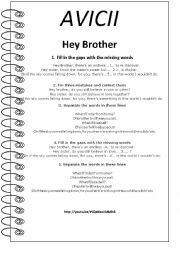 This is a worksheet to compare present simple and present continuous at a basic level.